As the Hong Kong exclusive member of the prestigious Christie's International Real Estate, Landscope Realty enjoys an excellent reputation with a leading position in the luxury property market in Hong Kong since its establishment in 1995. It possesses the most comprehensive database of 120,000 affluent clients who form the tip top of Hong Kong's seven million populations, and a unique database of China's 2,000 billionaires. Established in 1995, Landscope Realty enjoys an excellent reputation with a leading position in the luxury property market in Hong Kong. It possesses the most comprehensive database of 120,000 affluent clients who form the tip top of Hong Kong's seven million populations, and a unique database of China's 2,000 billionaires. The Landscope team comprises only the best salespeople in the industry. The average sales experience is over 13 years. With its highly respected team constantly praised for their professionalism, integrity and service attitude, the Company has set many records in Hong Kong's real estate history. In 1997, it made the record sale of Hong Kong's largest single house at HK$728.8 million (6-10 Black's Link, The Peak). In 2000, it brokered the sale of the largest purpose-built apartment for HK$162 million (The Penthouse at Aigburth, Mid-levels), setting a historical record for apartment. The following year, Landscope handled the leasing of the second largest purpose-built apartment (The Penthouse at Tregunter III, Mid-levels). The pioneering website, www.landscope.com, is the most respected property website in Hong Kong, recognised by Web Marketing Association in the US with a Standard of Excellence award in 2009. The website incorporates many cutting-edge technologies and web solutions. The Landscope Databank, a self-developed property database featuring state-of-the-art technology, is also amongst the most advanced in the property agency industry. The Key, a monthly magazine by Landscope mailed to over 60,000 VIP clients, has the largest circulation amongst all property related and lifestyle publications in Hong Kong. It is the first of its kind in the Hong Kong market and has been maintaining its leading position by constantly upgrading the design and contents. The professional services arm, Landscope Surveyors, is the leading expert in business disturbance claims and statutory compensation claims. The firm has been engaged in numerous claim cases representing either the private sector or the government, and its expert opinion and methodology have been adopted by the courts in various precedent-setting legal cases. The surveyors are often employed to carry out property valuations for diversified purposes including listing valuation, mergers and acquisitions, disposal, rating, stamp duties and tax computations. They also frequently advise on investment strategies, planning approvals, development proposals and feasibility studies. In April 2012, Landscope became the Hong Kong exclusive member of the prestigious Christie's International Real Estate, a premier global luxury property consultant network that has over 120 affiliates with 1,100 offices and 35,000 sales associates in 42 countries. The Company has since carried on business under the name Landscope Christie's International Real Estate. Landscope Christie's specialises in top-end luxury residential properties in Hong Kong, including single residences, detached houses, townhouses, duplexes and large apartments. We have a significant and differentiated presence in the market and have to date maintained two sales records in Hong Kong, namely the most valuable house (HK$728.8 million or US$93 million) and the most valuable and the biggest apartment (HK$162 million or US$20.7 million). Landscope Christie's comprises some of the most sought-after and experienced sales negotiators in the Hong Kong market. With Landscope Christie's leading position in the top-end luxury market, we are able to obtain first-hand information from landlords and tenants alike. Coupled with our intelligent information system and the resourceful, service-oriented leasing team, we provide impeccable services to clients with the aid of advanced IT applications. To illustrate, Landscope Christie's brokered the lease of the second biggest apartment in Hong Kong. The ultimate form of property transactions is investment acquisition/disposal with properties bought for their inherent values and potential future values. A substantial amount of information analysis, projections, refurbishment plans, development appraisals, marketing proposals and strategic advice are expected from an investment agent. Landscope Christie's excels in this sector, and is responsible for some of the landmark deals in Hong Kong's real estate history. The senior management has always developed and maintained close relationships with the major market players, including local investors and international investment funds. Our team is also fully equipped to take on the new, ever-changing challenges in the property market that has come into play in the globalisation movement. Tenders and auctions are common forms of property disposal, especially when fiduciary duties are involved or market competition dictates. Landscope Christie's is one of the most experienced and successful property agencies in this specialist field. We have sold numerous single houses, townhouses, apartments, penthouses, development sites, shops, office blocks and residential blocks by way of tenders and auctions, and are frequently appointed by mortgagee banks in tender sales of foreclosed properties. The government and other public authorities undertake Hong Kong's infrastructure development and in the process, inevitably conflict with private interests and create disturbance to the private sector, especially the retail and F&B businesses. The complexity of relevant compensation ordinances is beyond the layman's understanding. As such, experts are needed to help unravel the perplexity of such issues, quantifying losses and representing clients in negotiations. This calls for profound experience in statutory valuation works and an in-depth understanding of affected businesses. 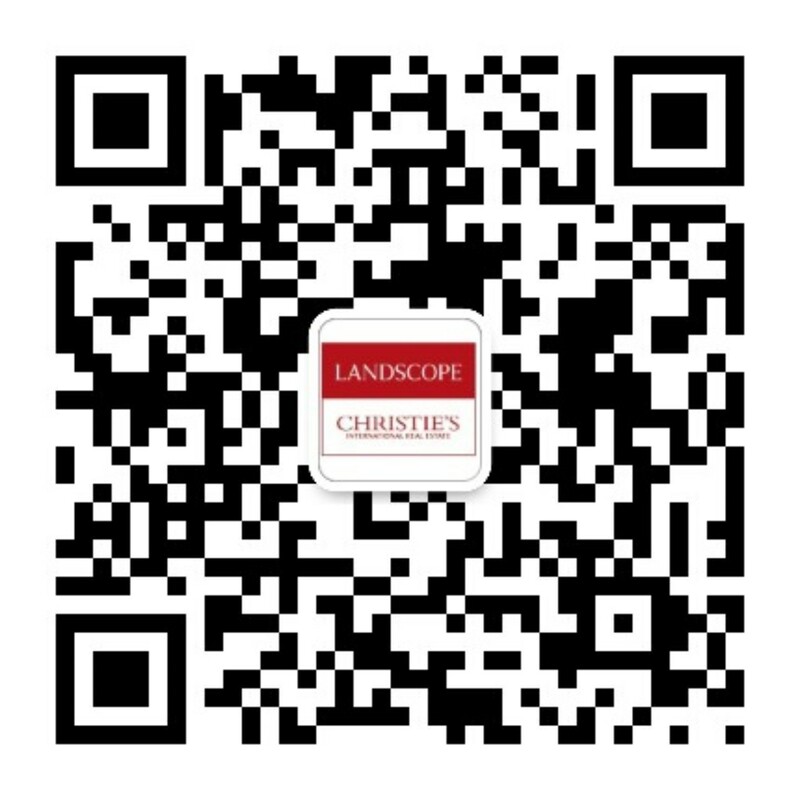 Landscope Christie's is the leader with an overwhelming market share in this field. We have over the years established a good reputation and an enviable track record. The government makes annual rating assessment of all Hong Kong properties for the purpose of rates collection. Due to the general nature of assessments, there are invariably some over-assessments. Aggrieved parties may apply for re-assessment and appeal. Our team of well-experienced valuers are positioned to advise and represent clients in the rates appeal process. We have maintained a higher rate of success than the industry average. Stamp Duty is payable on every property transaction, be iStamp Duty is payable on every property transaction, be it lease or sale. Due to the heterogeneous nature of real estates, the government's assessments of Stamp Duty may not always reflect the market reality. With Landscope Christie's active agency business, we always possess the most up-to-date market information, and our seasoned valuers are experienced with all types of properties, which are essential in making forceful and convincing valuation arguments. Landlords and tenants may disagree on renewal rents, be it commercial or residential properties. This is particularly common in Hong Kong where the property market is always volatile. Landscope Christie's valuers are fully supported by our agency team so that the most up-to-date market evidence is always readily available. We have acted as expert witness or independent valuers on many rental dispute occasions. Our valuers are fully experienced with Lands Tribunal proceedings and have won excellent reputation. Listed companies, property investment funds, private companies and institutional real estate investors require regular, independent valuations and revaluations of their property portfolio for accounting, auditing, listing, fund-raising and other similar purposes. Landscope Christie's has been retained by a large number of listed companies, accounting firms, law firms and property investment funds to carry out periodic portfolio valuations. Ad hoc reports can also be produced within short notice. Working hand in hand with Investment Agency, Landscope's valuation team provides technical know-how and scientific analysis in advising property investment opportunities. The enviable track record of Landscope's investment agency is founded on the combination of solid professional knowledge in various investment disciplines and our first-hand dealing experience. Nearly all private land in Hong Kong are leaseholds. The use and development of these lands are controlled by government leases, building regulations and town planning ordinances. In the context of property developments, expertise is required to assist landowners and developers to maximise development potential under the constraints of government lease conditions, town planning and building regulations. Development surveyors' professional knowledge and experience help clients understand the underlying risks and appreciate the potential values. At Landscope Christie's, we have diverse and extensive experience in site planning, land use analysis and development appraisals. We also have the expertise to provide professional planning advice ranging from small-scale change of land use to comprehensive large-scale site development/redevelopment; and from temporary land use to permanent development. We provide general planning advice for land development. This includes the identification of development potential of a site and the maximisation of land use from the client's perspective. We prepare and consolidate for clients all types of development planning applications, ranging from temporary uses for open storage/parking facilities, change of use within industrial buildings, small house developments, residential developments, commercial/office/hotel uses, academic/hotel developments to government/institution/community uses, etc. We request, on behalf of the client, for amendments of the statutory plan in order to facilitate the implementation of development proposals (e.g. the rezoning of “G/IC” zone or the amendment of the statutory notes of the zoning plan to accommodate the client's intended proposed land uses, etc). This also includes the "upzoning" proposal to intensify the development potential of the client's site. We assist clients in lodging objections for potential new developments and redevelopments affected by the gazettal of outline zoning plans in urban areas and rural New Territories based on the client's intention. We provide professional service to monitor and follow-up subsequent to receiving planning approvals. This includes the coordination for the fulfillment of planning conditions to the satisfaction of various government departments to avoid unnecessary lapsing of the planning permission. We are capable of providing planning input to a wide range of land use planning and development feasibility studies commissioned by the government and the private sector through data collection, site analysis and setting up of planning parameters. We have the multi-disciplinary skills and extensive project experience to assist both the private and public sectors in the coordination of planning studies and preparation of Conceptual Master Plans / Land Use Plans for projects in Hong Kong and Mainland China. Landscope Christie's International Real Estate is a reputed company that boasts an elite selection of properties, unparalleled service and expertise, as well as international acclaim. It is the exclusive strategic partner of the prestigious Christie's International Real Estate in Hong Kong. Our core values are based on passionate expertise, exceptional customer service, strong business acumen, personal integrity, teamwork, and innovation, which are the vital qualities of our members of staff. If you feel that our core values describe you and you enjoy an exciting, challenging business environment, we look forward to receiving your application. Currently, we are expanding our domestic Hong Kong market sales and leasing agency and are also looking for competent salespersons to join our International Project Marketing division. If you think you are eligible please email [email protected] or call Loretta Lui on +852 2152-4818.